796 left in stock, Hurry! 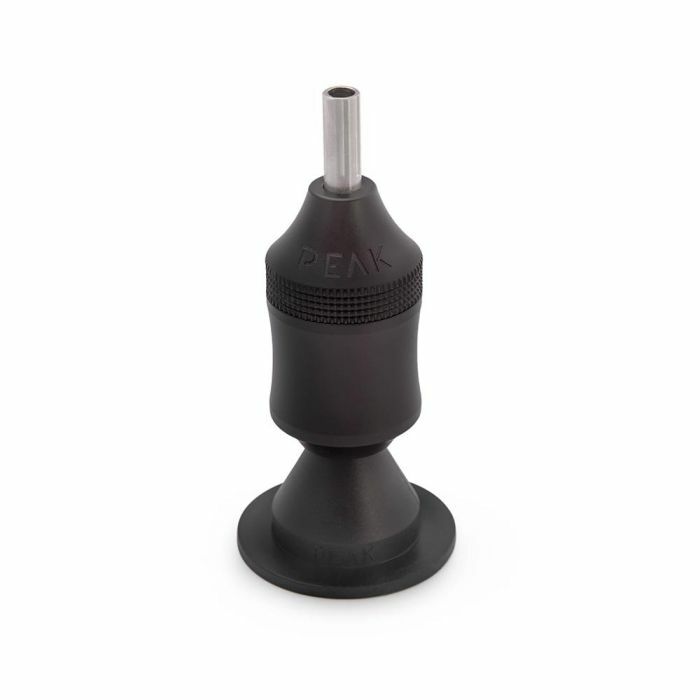 The Peak Nova Magnetic Display Stand is durable, lightweight, and perfect for holding or displaying your cartridge grip tattoo machine. This stand has a magnetic base that affixes sturdily to the Peak Metal Display Bar as well as any magnetic surface, making it ideal for artists who have steel tattoo stations. It is designed to be compatible with pen-style rotary tattoo machines, cartridge grips, or machines that are using a cartridge grip. Use this display to proudly showcase your machines at your studio or conventions. For a complete Peak setup, use this display stand to showcase Peak Trona or Peak Natron cartridge grips.